Why Buy a C 300 from Us? 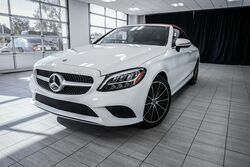 Since first opening our doors in 2008, Mercedes-Benz of Arrowhead has provided the West Valley with an unforgettable luxury car shopping experience. We know that our customers only want the best, and that is what we are prepared to give them. After helping you find the car of your dreams, our highly trained service professionals will make sure your Mercedes-Benz experience is nothing less than upscale with complimentary home set up support, as well as maintenance and car care services. Experience pure luxury in every aspect of the car buying process! 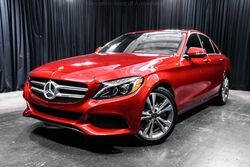 Contact Mercedes-Benz of Arrowhead today to schedule a test drive. How does the C 300 Compare? The following comparison chart highlights how the C 300 stacks up against two other similar base models in its segment—the INFINITI Q50 2.0t PURE and the Lexus ES 350. The comparison explores key areas like starting prices, output, and efficiency. Discover how the flagship model performs below, or select the links in the respective boxes for the full comparisons between the C 300 and each model. What does the C 300 have to Offer? The C 300 is the base model of the entire C-Class mode lineup—coupe, sedan, and cabriolet. 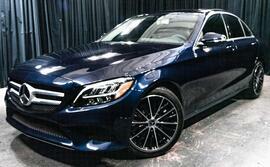 Although base models, C 300 configurations are well-equipped to deliver an upscale, first-class driving experience. 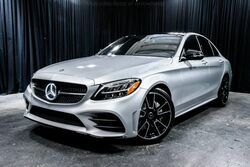 Innovative and luxurious, C 300 models offer the latest innovations in connectivity, safety, and comfort while delivering smooth, exhilarating performance. C 300 configurations feature rear-wheel-drive and offer several package upgrades.